Looking for a great choice of vans to get your business on the road? Loads of Vans can help. We stock an extensive range of LCVs from leading brands – including the full range of new Renault vans. Why not visit our Loads of Vans showroom in North Cheam, Surrey, to view our current range of new Renault vans for yourself? We’re open seven days a week. Renault is renowned for engineering expertise – and its commercial vehicle range is no exception. When you choose Renault as your partner, you can expect robustness and practicality to make light of your load. 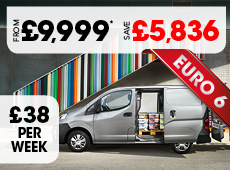 Options include the Master – the largest van in the range – as well as the intelligent and award-winning, mid-size Trafic. The Trafic is also available in Crew van or Passenger van configuration increasing the passenger size up to six and nine people respectively. The compact Kangoo comes with the option of a 100 percent electric powertrain, or a punchy combustion engine. A wide variety of shapes, wheelbases and engines powertrains means you can find the perfect fit for your business. There’s also a choice of refined diesel engines with the latest technology to increase efficiency and keep running costs to a minimum. In addition to great everyday value, we also offer a range of special offers and flexible finance options to suit your requirements. Our finance specialists can also discuss lease hire and contract hire with you. All you need to do is ask and our team will help you in any way they can. To find a van that meets your needs, click through below to view details and specifications. You can also book a test drive if you want to try one out for yourself.